This is interesting for several reasons. One is that it has a hint of the qualified approval of female potential that we find Socrates voicing in Plato’s Republic. See, for example, the claim at 455d that women and men are equipped to perform the same duties in the city and to share in the same ways of life, except that ‘in all of them women are weaker than men’. Of course, the extent of Plato’s feminism (or not) is hotly debated (see this classic article by Julia Annas). I like Socrates’ response a lot because, if you set aside poor old Xanthippe’s feelings, it points to several elements of the Socratic identity. First, it taps into the Socratic interest in educating people ethically and the (potentially rather worrying) suggestion that this is equivalent to training animals (we get something similar in Plato’s Apology of course). But is Socrates claiming that he has broken in Xanthippe like a spirited horse? Perhaps not. 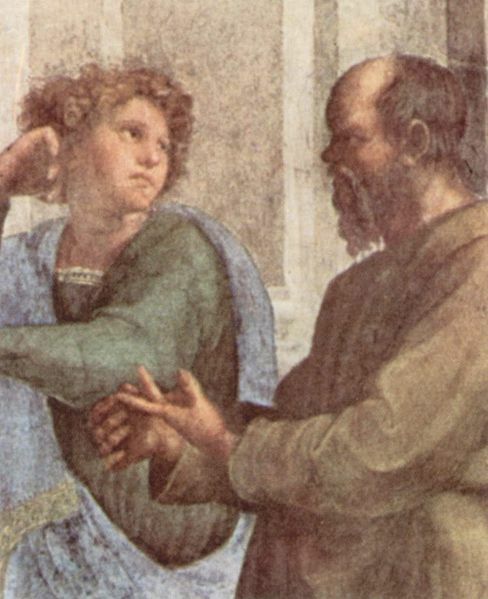 After all, Antisthenes and Xenophon seem to agree that Xanthippe is still rather difficult to get along with and Socrates actually claims not that he has trained Xanthippe, but that he is able to endure (ὑποίσω) her. In fact, the suggestion seems to be that the fact that Xanthippe is untamed is what makes her an ideal wife for Socrates, because having a wife like this helps him in his relations with other people. So perhaps it is she who has trained him. And here is the element that really appeals to me, because the implication is that Socrates’ choice of wife is directly connected to his ethical project. That really is an example of a commitment to philosophy as a way of life. There are further elements worth considering here – one is the theme of heterosexual love and marriage that runs through Xenophon’s Symposium and how this relates to some of his other Socratic writings. Xanthippe is also the subject of Socrates’ conversation with his son, Lamprocles, at Memorabilia 2.2, and there Socrates speaks in defence of his wife. It’s worth noting, in fact, that this passage of the Symposium is probably the source of Xanthippe’s shrewish reputation. She does appear to be rather overwrought at the thought of Socrates’ death in Plato’s Phaedo (60a-b) but then again, Socrates’ friends don’t hold up much better, even after having sat through several arguments as to why death is not something to be feared. If you feel a bit sorry for Xanthippe, you could always get hold of a copy of this. It’s quite jolly. When not thinking about Xenophon or cricket (or MA marking, or the Platonic Epistles, or next year’s seminar series), I have been thinking about next year’s teaching. Since now is the point when I have to write up reports on this year’s courses, it seems like a good time to think about what to do to them next year. I’m also prompted to think about them by the fact that I am required to write an essay on lecturing over the next couple of months. This is intended to help me reflect on my teaching methods. I can’t say I’m absolutely delighted by this requirement but it seems like it will probably be less of a chore if I try to make the most of it. One aspect that I have been thinking about is how to use questions in lectures. Now, I am not all that keen on the idea of just delivering a lecture for 50 minutes with a couple of minutes at the end for questions – I prefer them to be more of a conversation. But sometimes, no matter how dedicated I am to the Socratic example, I find it hard to get that dialogue going. And sometimes I feel anxious that it’s always the same students speaking up while others hide away in their hoodies. So then, is it ok to persevere, knowing that you are always dependent on those few students who will talk or should you try to force others to engage too by directing questions at individuals? If someone doesn’t want to answer a question, should I force them to for their own good? Would that be for their own good? It’s not like I actually am Socrates. Of course, one of the issues here is the anxiety that students feel about speaking up in lectures. In an uncharitable mood, I think they should just get over it, but reading some material on lecturing has made me think again. I think I have forgotten what it feels like to be scared about asking or answering a question – after all it is a big part of my job, so I’m very used to it. And, even when I was a student, I was one of those ones who always spoke up. But I do have vague memories of the increased heart rate that comes with putting your hand up in a seminar. In fact, I read something this week which suggests that the heart rate of the entire class goes up when the lecturer asks even a general question, even before the students have considered whether they might know the answer and want to give it. So perhaps I need to be a little bit kinder to my students. In particular I have been thinking about how to be kinder to the students in my language classes. There, it’s clear that some students want me to ask all kinds of questions so that they can prove how much they know whilst others would happily never say a word. And of course, the anxiety of some is increased by the fact that questions in language classes will tend to have a right (and wrong) answer. But I think I may have hit upon a solution. Next year I am going to be trialling a system that allows students to answer questions anonymously via an electronic keypad (bear in mind that my language classes are lectures, usually with more than 20 students). That way, all students can have a go at answering (pre-formed) questions and hopefully be engaged with the content of the lecture. But they can also do so without the anxiety of judgement from the class or from me. They can monitor their own learning and know if they need to ask for help in a specific area, rather than waiting for tests to prove that they are confused (or not). And I can get a general idea of how the class is getting on (since I can see the overall statistics for answers). It will take a bit more preparation for the lectures, of course (although the system is very easy to use and compatible with powerpoint, which I use in my language lectures anyway) but, if it works, I think it could be really beneficial in increasing engagement and hopefully building confidence. Once I’ve seen how this works with language lectures, I will think about how I can use it for my philosophy teaching (the system is actually designed to stimulate discussion and ‘peer-instruction’). Admittedly, it’s not exactly elenchus, but it might just make the lecture experience more personally engaging for the students. They’ll be that bit closer to being interlocutors rather than passive observers – but without the anxiety of individual Socratic scrutiny. I’ve recently been thinking a lot about Xenophon. This is a bit odd because, apart from using him as a source for relatively easy Greek unseen translation passages, I haven’t thought much about him since I was at school. Indeed, it was only when I sat down to read the Anabasis last month that I realized I had read part of it at school, I think for GCSE. I appreciated it much more this time – it’s brilliant! My favourite passage is probably in 2.1, where Clearchus reminds the (Greek) messenger from the Persian King that, before issuing advice, he should consider what he will want later generations to hear that he said – i.e. that he should bear in mind that he is going feature in the Anabasis. Anyway, the reason that I have been thinking about Xenophon is because he has a lot to say about Socrates. I’ve been thinking in particular about Xenophon’s Symposium. 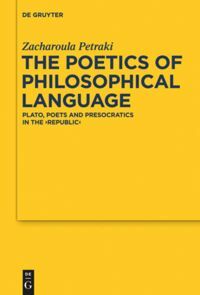 Of course, Plato also wrote a (rather different) Symposium featuring Socrates and Plato’s version is rather more highly regarded, or at least, rather more frequently discussed. Certainly it seems that many scholars find the desire to compare the two works irresistible, and Xenophon often does badly in such comparisons. I’m interested in (and currently writing about) Xenophon in his own right as a Socratic author but I’m also really intrigued by the way some scholars insist on making comparisons between Xenophon’s Socrates and Plato’s Socrates. This seems to be partly motivated by the desire to work out who is presenting the version closest to the historical reality – because there are clear differences and inconsistencies between the two versions. More often than not, scholars have argued that Plato’s version, who seems rather more philosophically exciting than Xenophon’s, is the most likely to be genuine (or the most genuine, if it is a matter of degrees). One common argument, presented most influentially by Gregory Vlastos, runs that, had Socrates really been the relatively traditional and didactic figure presented by Xenophon, it is hard to understand why anyone, let alone someone as sophisticated as Plato, would have been interested in him. Of course, as John Cooper has pointed out, had Socrates been as odd and untraditional as Plato suggests, it’s hard to understand why someone as apparently unhip and philosophically unambitious as Xenophon would have felt his appeal. I suspect that it’s no coincidence that philosophers tend to prefer and to argue for the authenticity of Plato’s more philosophically exciting Socrates. Vlastos went so far as to claim that Plato’s Socrates ‘is the only Socrates worth talking about’. 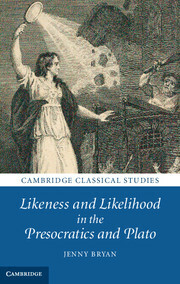 In the end, however, I think that the variety of representations and interpretations of Socrates that we have from antiquity (from Aristophanes and Aristotle and later authors as well as from Plato and Xenophon) is perhaps the most interesting aspect of the Socratic legacy – and that Xenophon’s version deserves some serious consideration as an interpretation in its own right. Vlastos sets out his influential view on the historical accuracy of Plato’s Socrates in ‘The Paradox of Socrates’ in G. Vlastos (1971) The Philosophy of Socrates, 1-21. Cooper’s rather more sympathetic approach to Xenophon is in his ‘Notes on Xenophon’s Socrates’ in J. Cooper (1999) Reason and Emotion, 3-28.